The recent brutal return of winter to the UK has brought with it some ideal late Easter skiing conditions across parts of Europe. 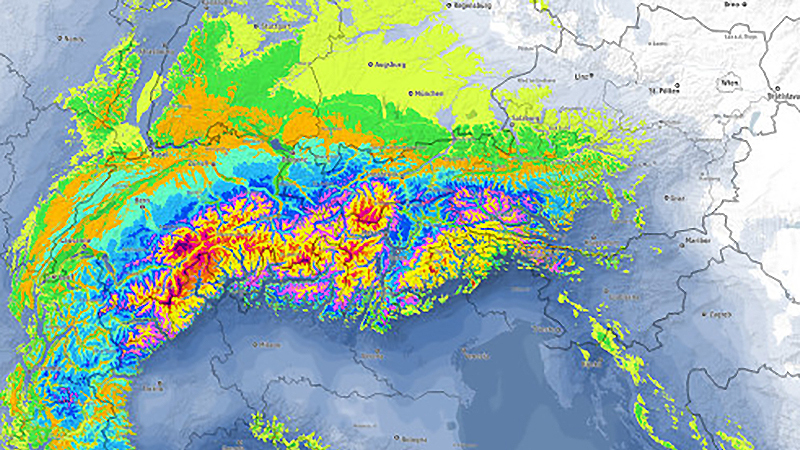 The Snow Sandwich which dumped mainly across the northern Alps brought fresh falls to the border regions of Italy, Switzerland and France, before moving west and lowering temperatures, dropping the snow level to 1000m in places. Where is the new snow? Sno Co is offering great catered chalet deals from just £479pp for late Easter skiing in one of Europe’s highest resorts. Zermatt offers high altitude glacier skiing so is snow-assured. With stunning scenery and towering mountains, this Swiss resort also boasts a delightful old town. Great skiing in Champoluc, Italy awaits from just £449pp which includes meals and flights. The hotel also boasts a hot tub, sauna and steam room. Accessing one of the largest ski areas in the Aosta valley, this great little resort is often quiet and uncrowded. The recent snowfalls have made this friendly Monte Rosa resort with lots of rustic charm, an ideal late winter retreat. With two days of heavy snow last week, Avoriaz could offer some of the best conditions in the French Alpine resorts for a final ski of the season. With on the piste catered chalet prices starting from just £499, high altitude skiing directly from the doorstep is possible in this popular resort on the Swiss border. Only an hour from Geneva, with a vast ski domain, Avoriaz is ideal for a quick and easy getaway. If fresh snow isn’t your priority this Easter but some budget fun on the slopes is critical, then Andorra could be your answer. Half price lift passes and free guiding are available in Arinsal, Soldeu and El Tarter with Neilson this Easter. Prices start in a range of hotels and catered chalets from just £299pp. Austria is on affordable too.7 nights with Iglu in a catered chalet just five minutes walk from the ski lifts is available from only £300pp. This fantastic location in the centre of St. Anton gives access 360km of well-groomed slopes by a network of 88 of state-of-the-art cable cars and lifts, guaranteeing some superb Easter skiing.